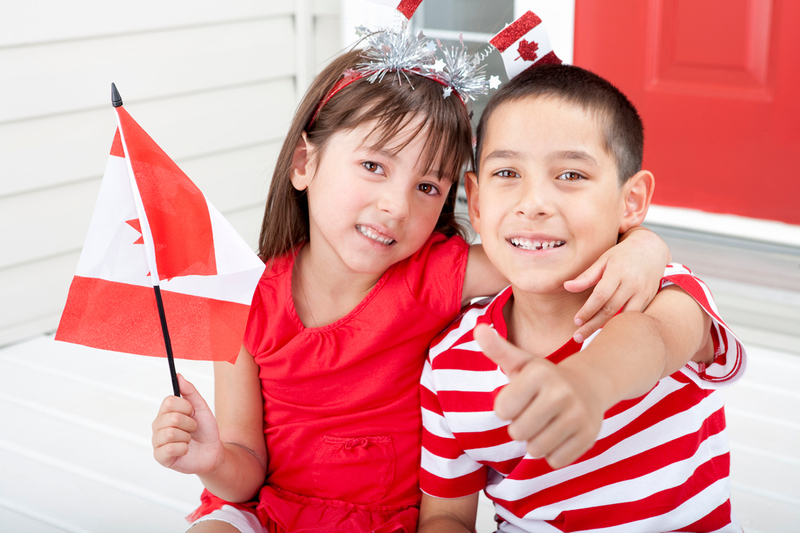 Home » Columns » Loreena Thiessen: Celebrate Canada! Read Psalm 72:8. This is what the Fathers of Confederation believed. It is the official motto of Canada. This year Canada is 150 years old. What does this mean? In 1867 a group of men, the Fathers of Confederation, decided that Canada should have its own government and laws. Its name should be Canada. At the time there were only four provinces. It was July 1 and Canada was born. How has Canada grown since 1867? Canada is a country of immigrants. Most of the people living in Canada have come from other countries. First it was fishermen. They were Vikings from Iceland. They came to find more fish. The Atlantic Ocean around Newfoundland and Labrador was thick with codfish. That was 1,000 years ago, long before Canada was a country. The fishermen loaded their ships with the fish and returned home. In time the King of England and the King of France sent men to explore new lands. The French wanted gold and riches. The English wanted to find a shorter trade route to Asia. Each king wanted the new land for himself. Other explorers came. The land they found was Canada. They met Canada’s first people, the Indigenous people who were already here and who showed the new explorers how to hunt for fresh meat, how to travel by canoe, and traded furs for tools. They trapped animals like beaver, muskrat, ermine, and mink. People in Europe wanted hats and coats made of these furs and Canada had plenty of them. The trappers travelled along rivers and streams and carried the furs with them. They unloaded them onto bigger ships in the Hudson Bay that sailed across the Atlantic and brought the furs to Europe. The English and the French each built settlements to keep control over the land they wanted. They competed with each other and they fought each other. Each one wanted Canada and its riches for their king. Finally the British won and for a long time Canada belonged to England. In 1812 the Americans invaded Canada. They had 4,000 men. They believed it would be easy to defeat the Canadians. The Canadians had only 400 men, but with the support of Native troops, together they defeated the Americans. Now Canada needed a strong border, a line to mark Canada’s land. And so they built the railroad along the border. The railroad kept the border more secure. It sent a strong signal to the Americans not to attack again. The railroad connected the vast distances of Canada. Towns and cities grew along the railroad. Now people and goods could travel from the east to the west, from Montreal to Vancouver. Today one half of Canada’s population lives in the big cities along the U.S.-Canada border. New people arrive every day who want to make Canada their home. 12 Canadian Words: which ones do you know? Write another word beside each one that tells what it is.